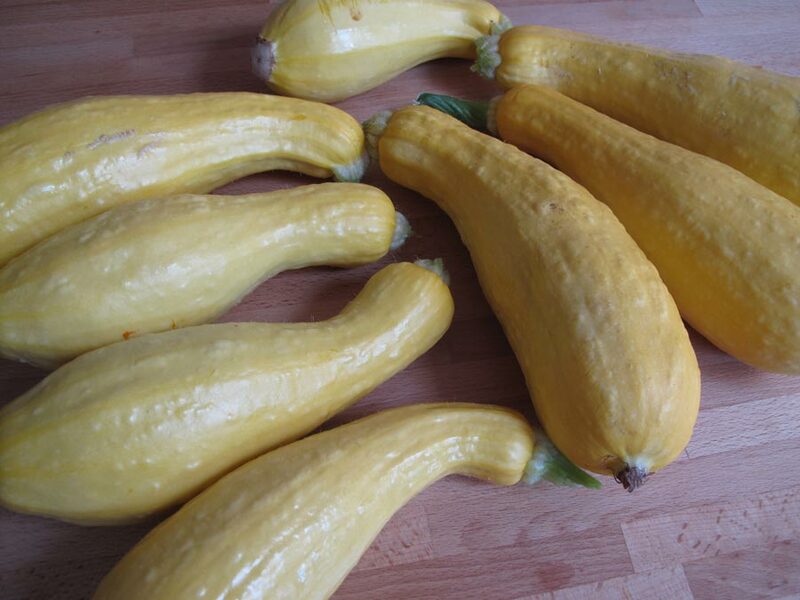 We mentioned a post or two back that our yellow crookneck squash plants have hit their stride (as opposed to everything else in the garden…). The other day Alicia made squash muffins, squash quickbread, and for dinner, stuffed squash. I’m starting to feel like Bubba and Forrest Gump, scrubbing the floor with a toothbrush. Slice them thin (1/4″), toss with a teensy bit of olive oil, salt, and pepper, then dehydrate. Will be just like potato chips, but more delicious! Also they shrink up so much you need lots of squash to make a decent amount of chips. Mmmmm. I was wondering if something like that might work. Thanks for the tip, I’ll give it a try!